This kitchen was designed for Tracey and Dave Bartlett, who run a highly successful cafe and catering business. 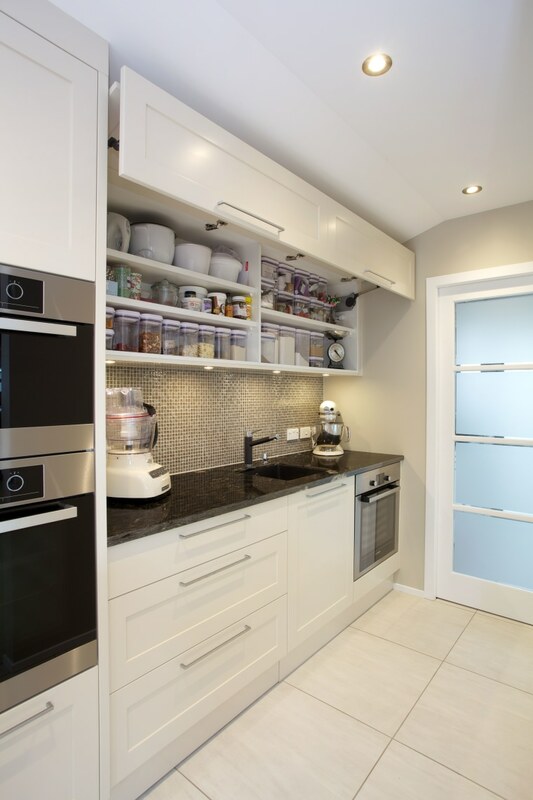 Of course, this provided a great starting point for their kitchen’s design. Coffee colours and natural woodgrains on the benchtop bring an inviting, warm look that complements the otherwise black and white space. 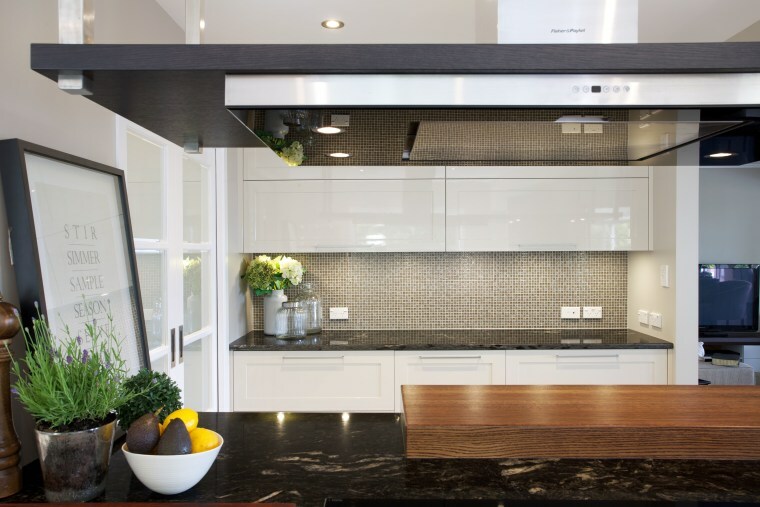 The nearby baking workstation splashback uses the same mosaic tiles as the main work suface. The warmer tones are reflected in the splashback, which features shimmering mochaccino-coloured glass mosaics. This maintains continuity of the kitchen’s cafe theme while ensuring glamour is not sacrificed for functionality.